Dress up any outfit with the charmingly cute Salvatore Ferragamo® Solar sandal. Open-toe silhouette with Gancio hardware at the vamp. Product measurements were taken using size 8, width C. Please note that measurements may vary by size. 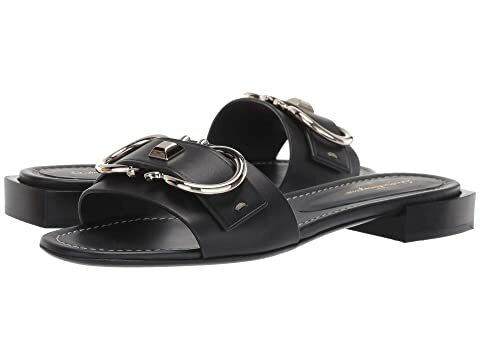 We can't currently find any similar items for the Solar Sandal by Salvatore Ferragamo. Sorry!